We’ve been collecting data from physical devices for a long time, going back to things like barcodes, which were invented in 1949. The macro trends that have driven us to the industry we now call the “internet of things” are vast improvements in compute power, miniaturization, cost, networking and the business importance of efficiency. These trends and others have come together in recent years to get a lot of people and companies super excited about IoT, but we didn’t figure out how to build mobile ecosystems overnight, and it’s likewise taken a few years to get comfortable with IoT, but in 2018 it feels like we’re ready to build at scale. The hype of IoT and IIoT has grown as people throw out more and more ideas of what is possible including fun ones like solar freakin’ roadways from 2014. These ideas, however, have gotten a lot more practical and business oriented in the last few years as companies get integration experience, improve technology and see the path forward more clearly. 2017 was big for the internet of things with investment pouring in, like Dell putting $1 billion into IoT, and impressive projects taking off, like what San Diego is doing to build a smart city. Now let’s look into the crystal ball for what 2018 will bring. We’ve seen lots of issues with big data in the past, where companies would collect all sorts of data but then do nothing with it. IoT is all about collecting a ton of data from physical sources that were previously not accessible, so that makes big data even bigger and makes the analysis of it so much more of a challenge. This is where artificial intelligence comes in. Algorithms can train using historical data and then comb through data as it comes in to make recommendations and pull insight from the data pool. Both AI and IoT are rounding into maturity as companies in each field are grasping better how to deploy the technologies and that’s wonderful news for projects using either (or ideally both) in 2018. Most IoT projects just haven’t been that large to date, so it’s natural that we’ve focused more on the immediate issues like interoperability and real-time performance. In 2018, as projects get larger, there will be more than a few that run into scale limits. A platform that performs well connecting 100 devices may not work as well at 10,000 devices, hosting and database operations will need to scale horizontally, and analytics will need to be flexible enough to accept more granular data and new data streams entirely. These challenges will expose technologies that were built for smaller implementations and will bring new requirements for future projects. When anything new comes along, it takes a while for the users of that technology to really understand what’s important, what questions to ask and how to use it. This has been the case so far in IoT, but users are starting to really get into the nitty-gritty of project implementations like device provisioning, infrastructure, communications protocols and more. We’ve seen farm equipment manufacturers asking questions about LPWAN compared to mesh networking options for better and lower-cost field coverage. 2018 will be a year where industries ask vendors the tough, but very important questions about their IoT projects. 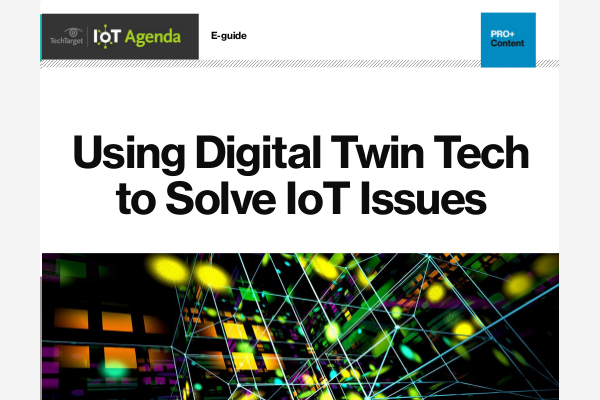 Things work better together when they’re all speaking the same language, so it’s ironic that IoT has struggled with settling on a standard since IoT is all about connecting all sorts of things. Standards for communications, hardware, APIs, security and much more are sloooowly coming together thanks to organizations like IIC, OCF, OIC and others working together. But the real push will have to come from customers coming together on preferred standards. This slow push will continue in 2018, so don’t expect any definitive answers here. One area that we will see better transparency in is benchmarking of technologies on a level playing field. To date, it’s been very difficult to compare technologies without very expensive testing, but new labs like that from MachNation now offer third-party benchmarking for difficult to compare platforms. Initiatives like this will grow in 2018 and likely serve as a key decision criterion for customers of IoT products, services and solutions. Not much has changed here from years past. There’s lots of talk about how important security is and the different things developers, device manufacturers and customers can do to improve the safety of IoT, but until end customers value security over convenience and price, things will not change too much. We’ll get better at doing over-the-air updates to deploy patches when vulnerabilities are discovered, and more acronyms like TPM, TLS and PKI will be thrown around, but we should all expect challenges to continue in a back-and-forth struggle. Old devices will also still be out there, and it’ll take years to get many millions of completely insecure devices out of circulation. More discussions will be had about security when putting projects together, which is a positive, but 2018 will be another challenging year for IoT security. There are significant benefits to doing some processing of data in the field and doing heavier processing in the cloud. Of course, some situations require more of one or the other, but despite that, most IoT implementations to date have relied heavily on the cloud primarily due to technical restrictions. It’s been interesting in 2017 to see how excitement about IoT at the edge has turned into a more realistic hybrid focus. One example of a hybrid solution that we’ve seen a lot of is some data aggregation being done at the edge to reduce the cost of data sent to the cloud. We’ll have to see where the edge can play a major role in 2018, but there will surely be greater use of the edge together with cloud support. Getting sensors, gateways, databases and other data sources to communicate is much more difficult than it seems, but the benefits of true interoperability are huge. McKinsey estimates that 40% of the value of IoT comes from interoperability. There are several ways to get things working together, from standards to open APIs to software connectors and platforms. It will take these types of technologies and the proper demands from those commissioning IoT projects to put an end to closed ecosystems and walled gardens. In many projects we’re working on, interoperability and open access to data are very important conditions to meet. In 2018, I expect interoperability to be a demand for most projects that will require a new business model from some providers. 2018 will likely see most projects continue to use more “standard” networking technology like Wi-Fi, Bluetooth, Zigbee, cellular and others. New technologies are still getting established, and there are a lot of limitations on them at the moment that will probably not be resolved in the next year. Of course, using newer technologies for parts of a project makes a lot of sense in certain situations, but these will be the small minority. Requirements like very large antennas and line of site often offset benefits like low power consumption and ultra-long range. Maybe 2019 will be the year Wi-Fi and cellular aren’t the go-to for IoT, but 2018 will not be. In conclusion, the overarching trend that we’re seeing now is the general maturation of IoT from both the vendor side and the user side. All sorts of industries have tinkered with new technologies and offerings and now have a better understanding of how they can use IoT to impact the bottom line. Vendors have also learned from putting things into the field and can offer much more robust and realistic solutions. This improved understanding along with all sorts of innovation will make for a fun 2018.